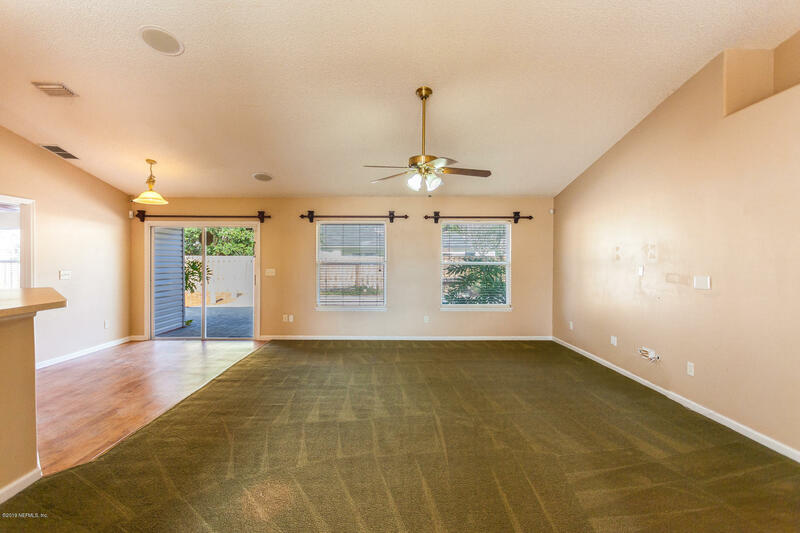 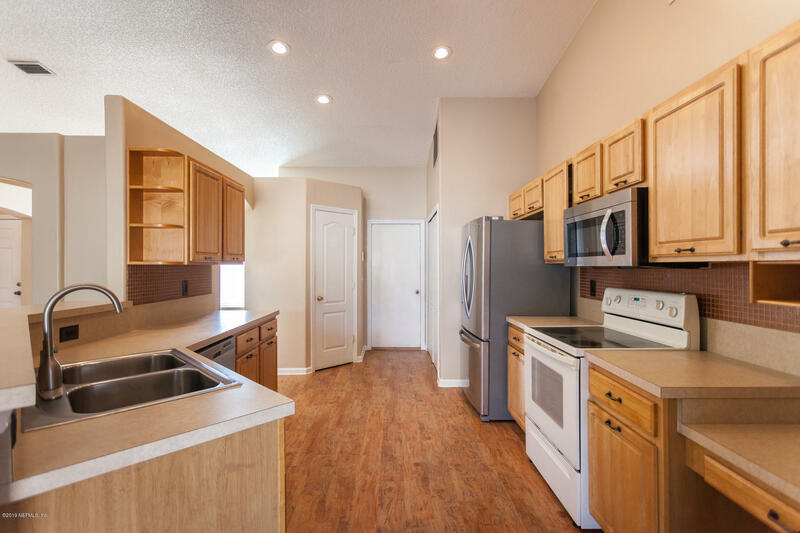 You will love this open concept 3 bedroom, 2 bathroom home! 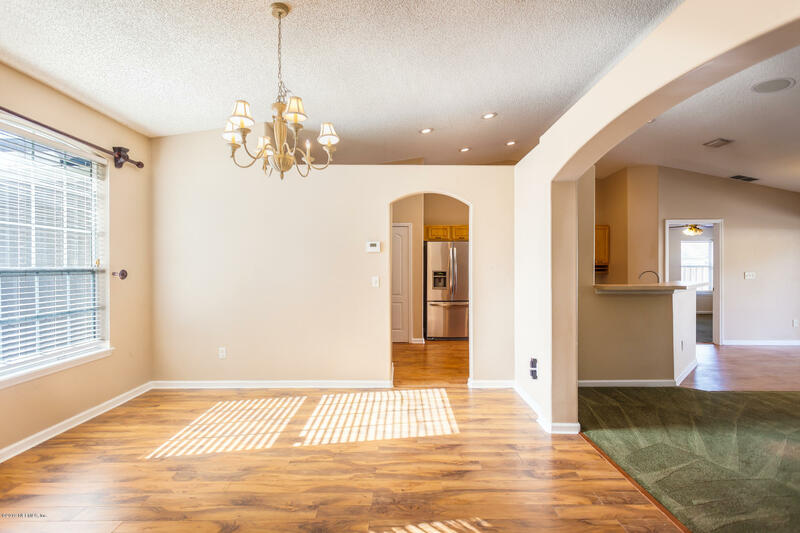 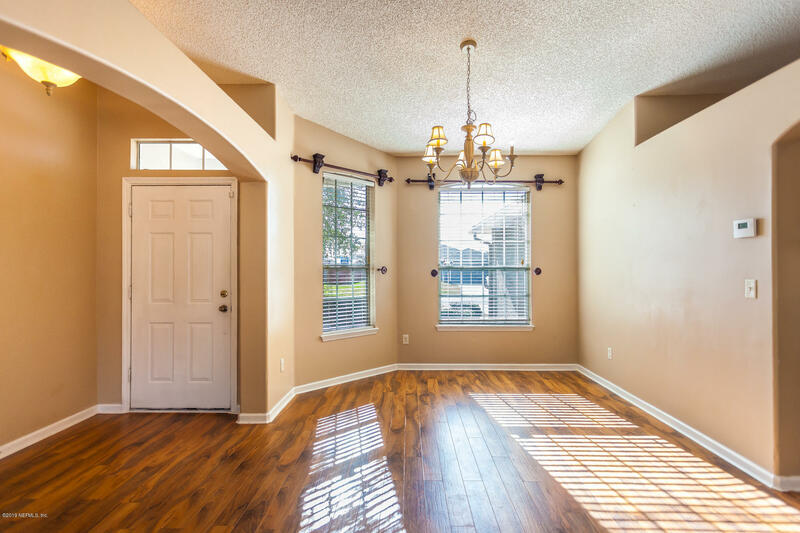 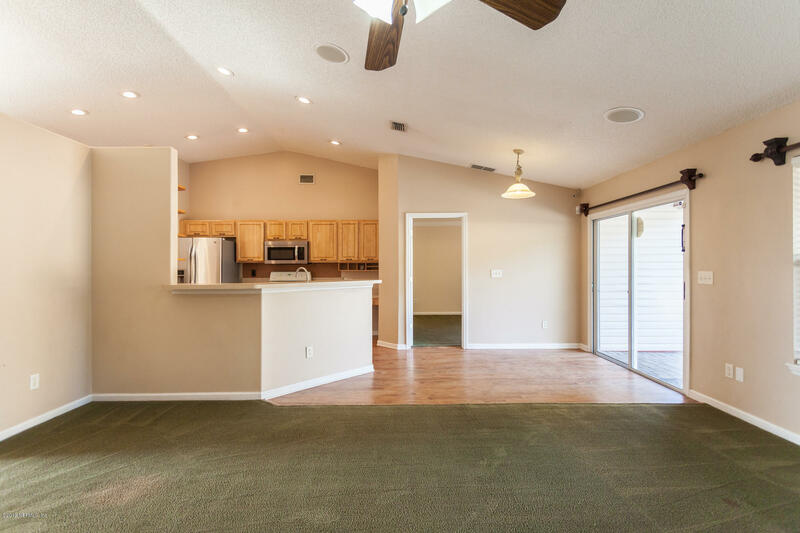 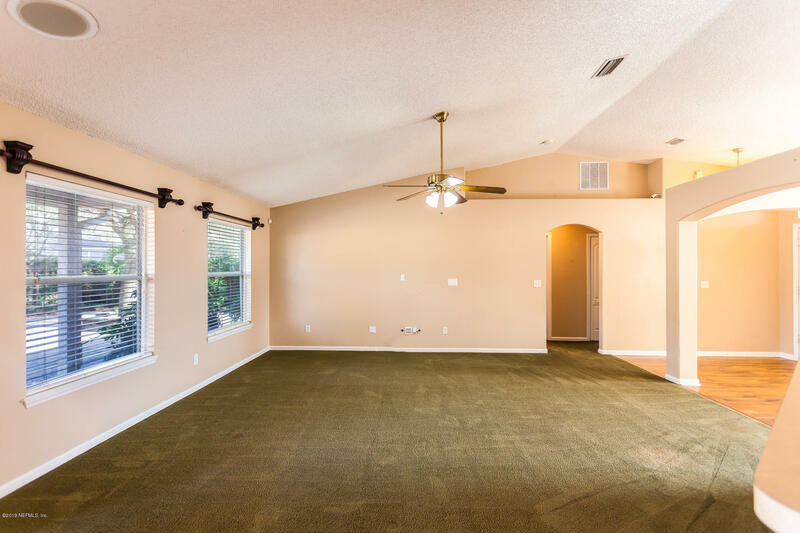 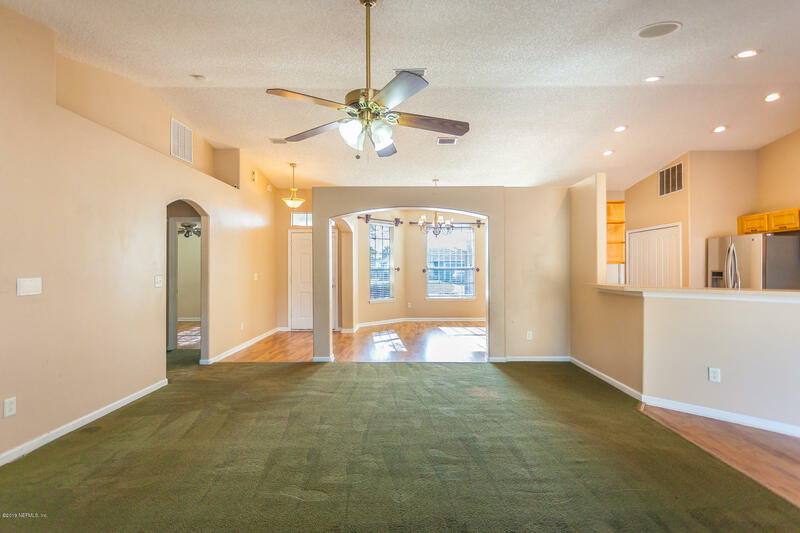 The kitchen, living room and dining room all flow together beautifully with architectural details, vaulted ceilings and warm laminate wood flooring. 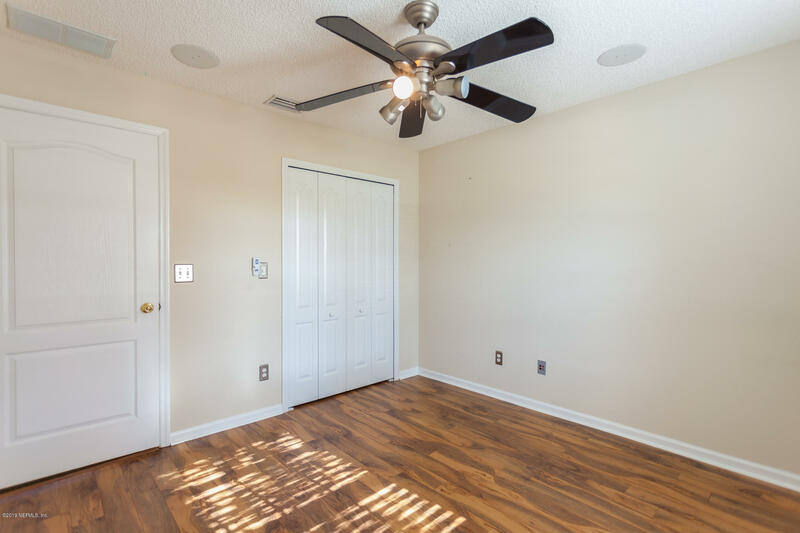 Main living spaces are wired for surround sound, and include built in speakers. 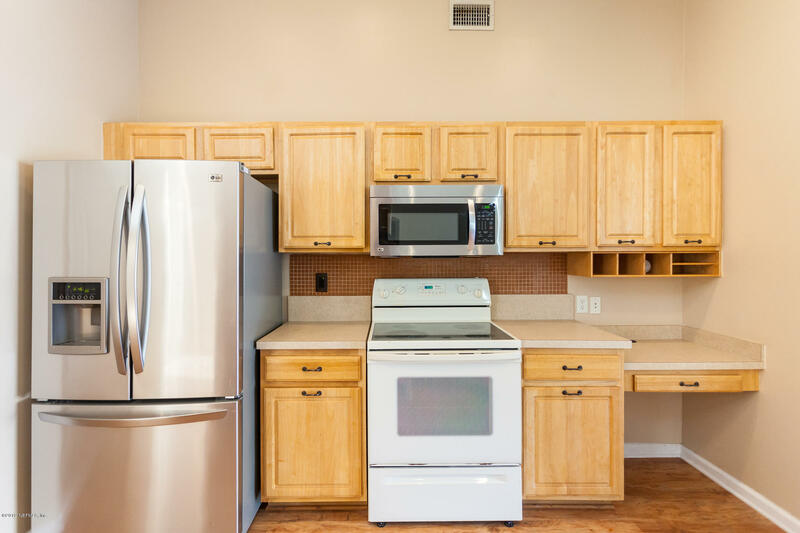 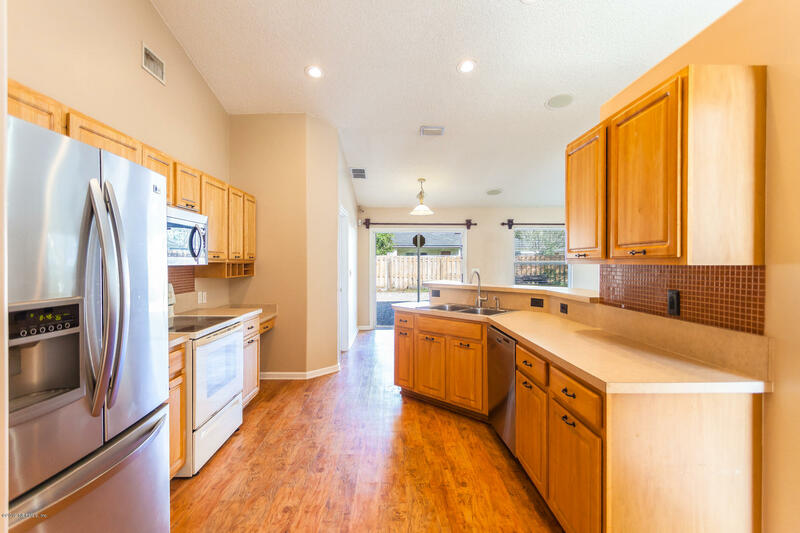 The large kitchen features plenty of counter and cabinet space, walk-in pantry, and stainless steel appliances. 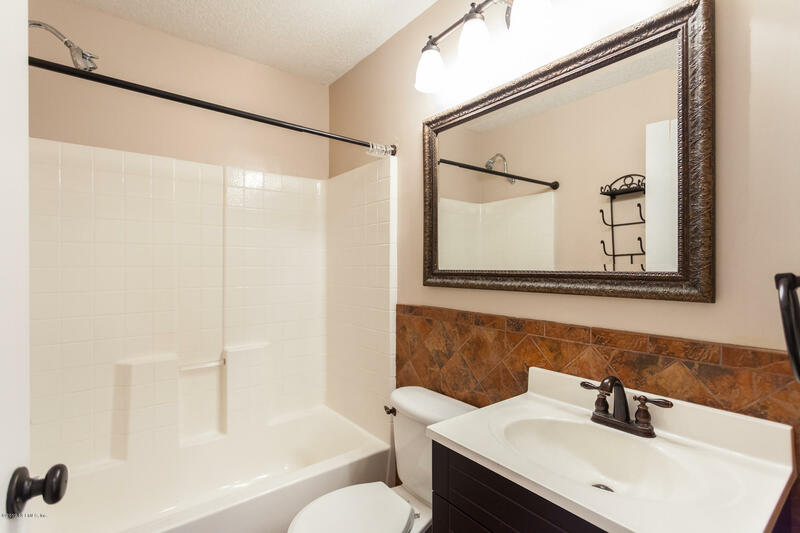 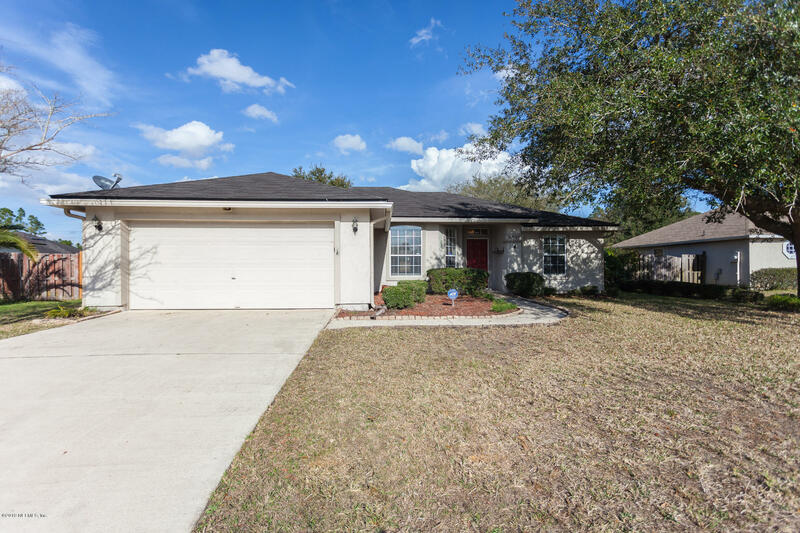 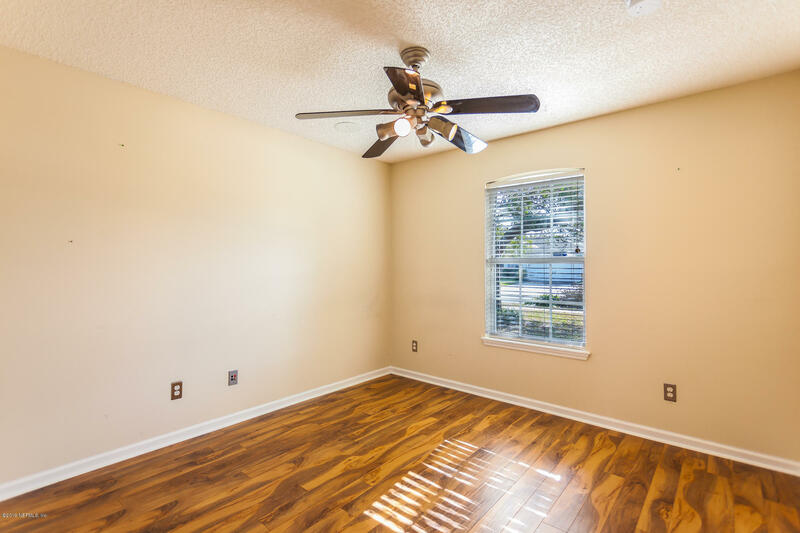 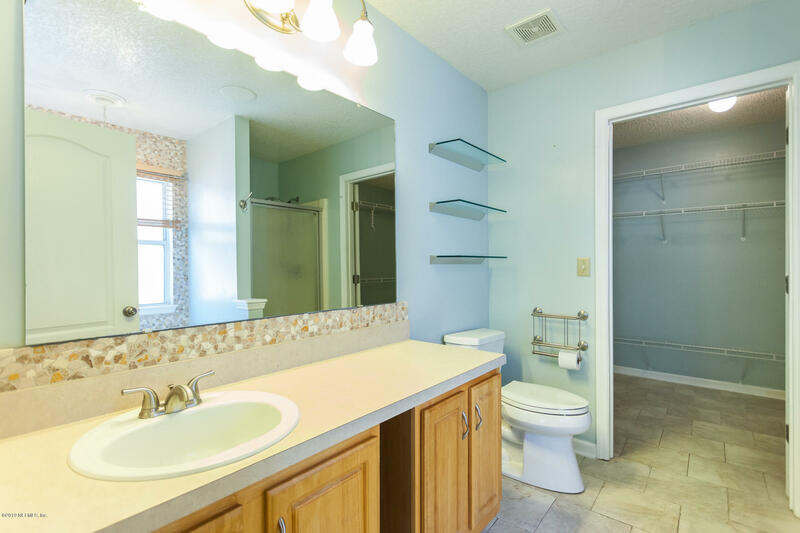 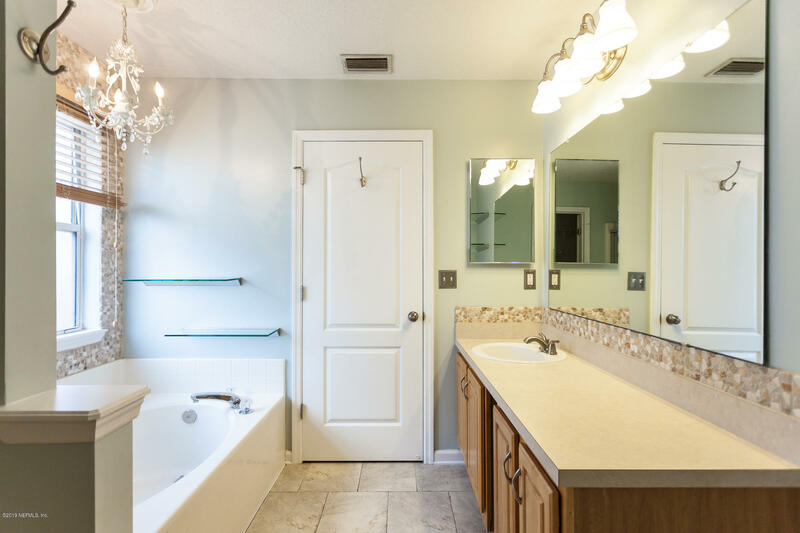 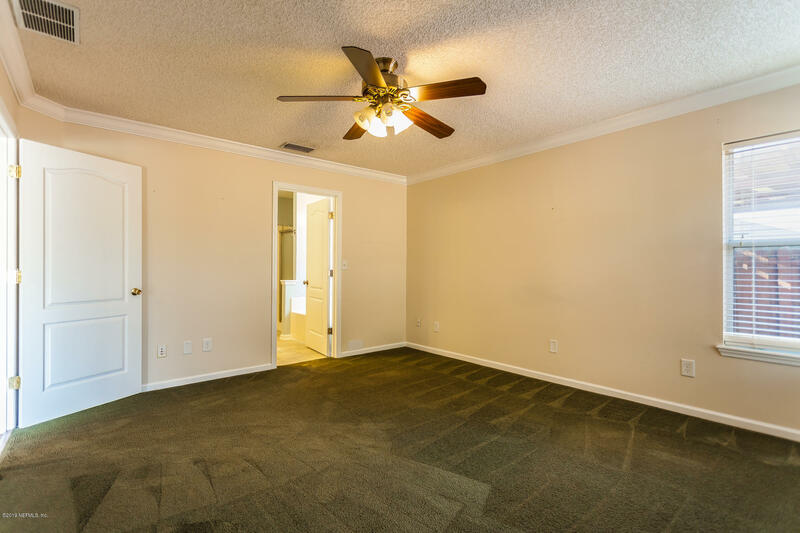 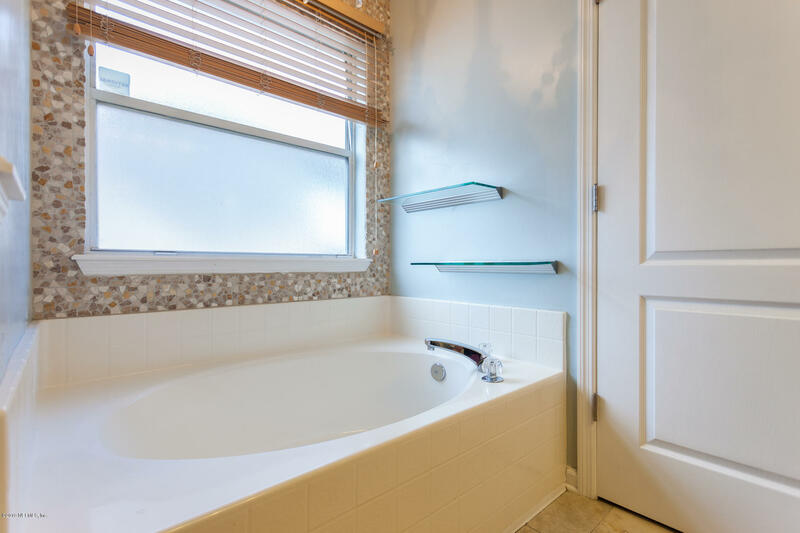 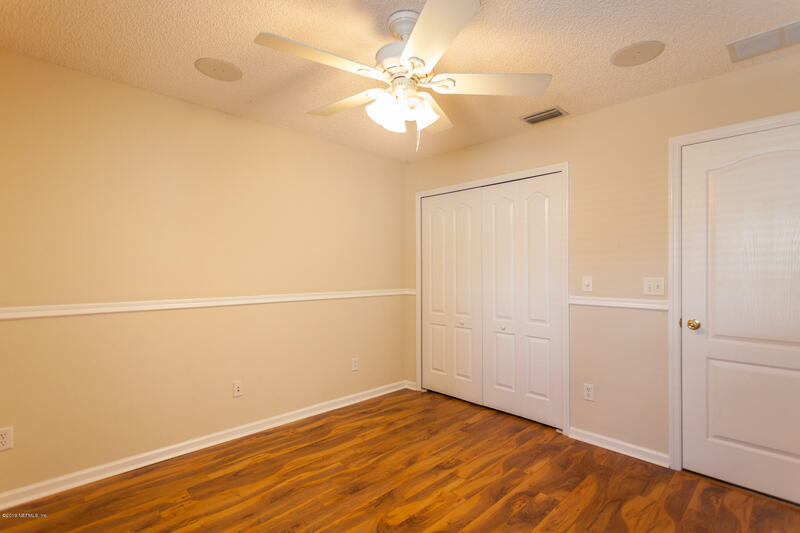 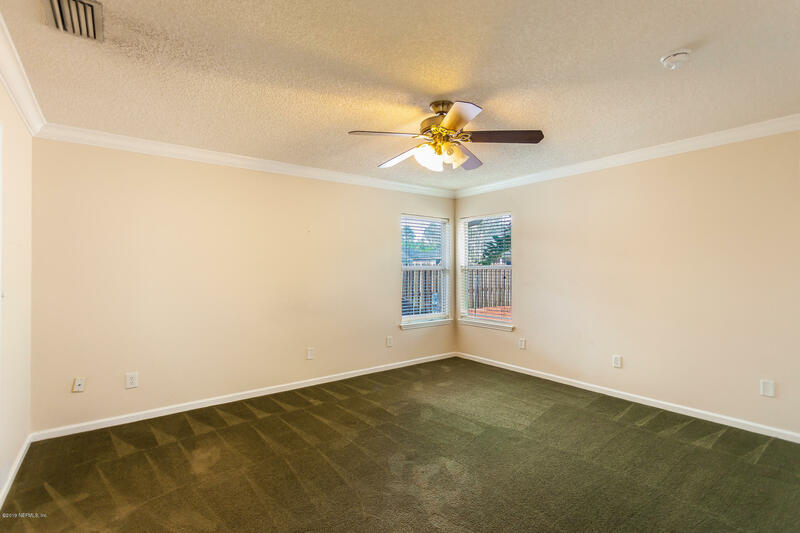 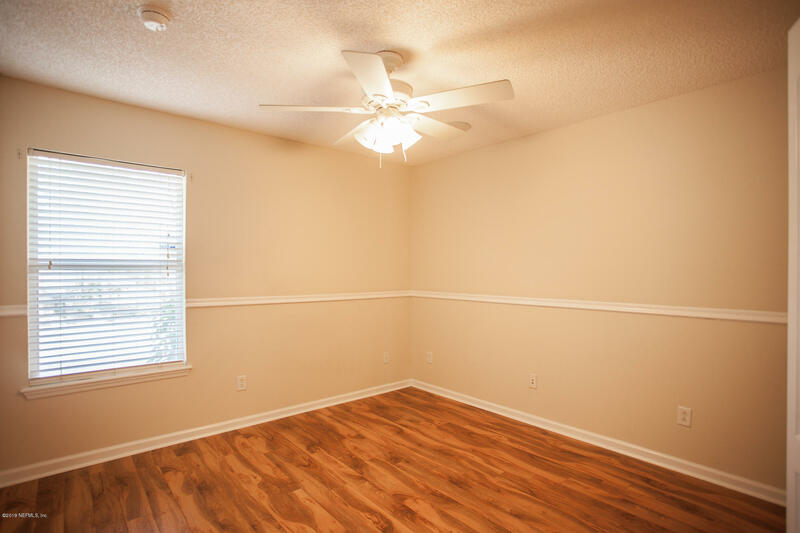 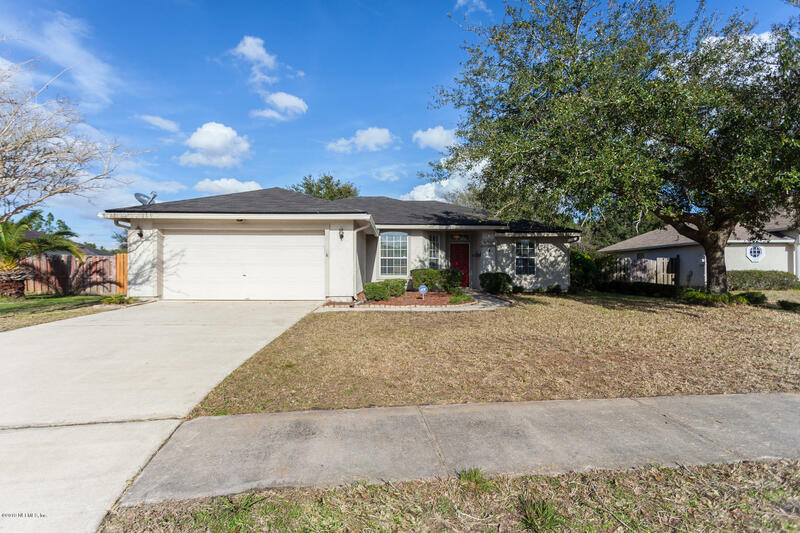 Master suite has plush carpet, crown moulding, ceiling fan and a lovely ensuite bathroom adorned with chandelier, stunning stone tile work, garden tub & huge closet! 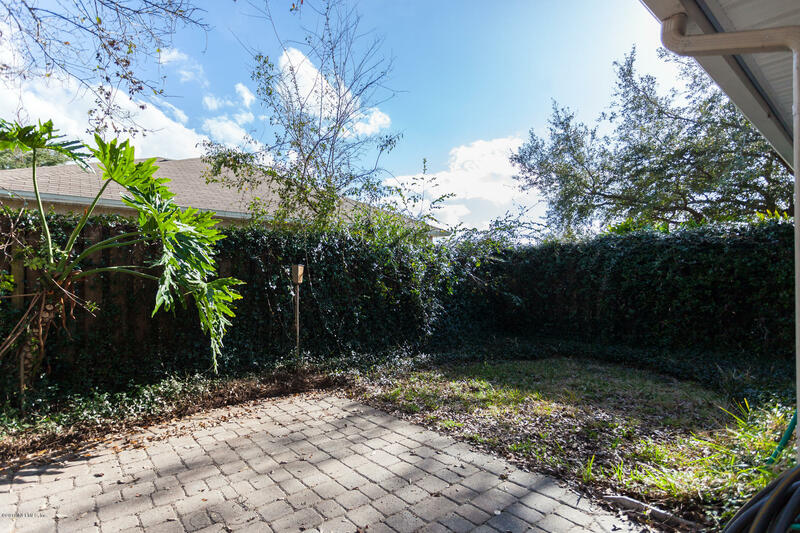 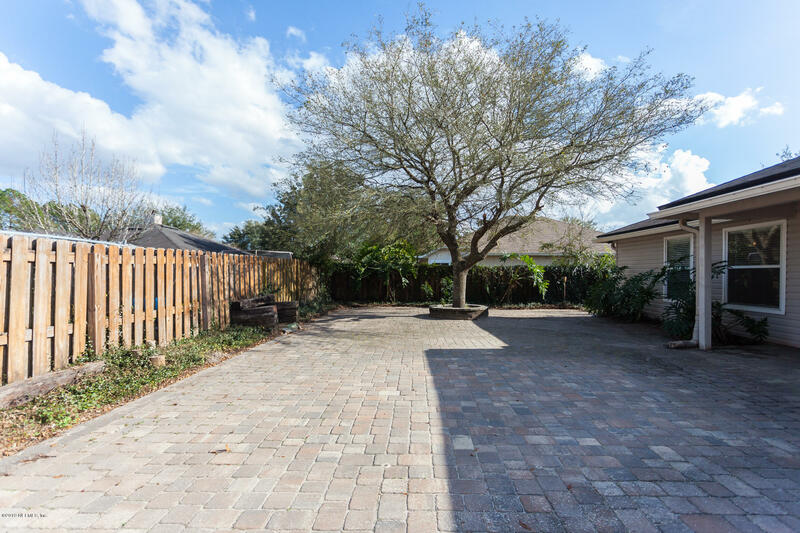 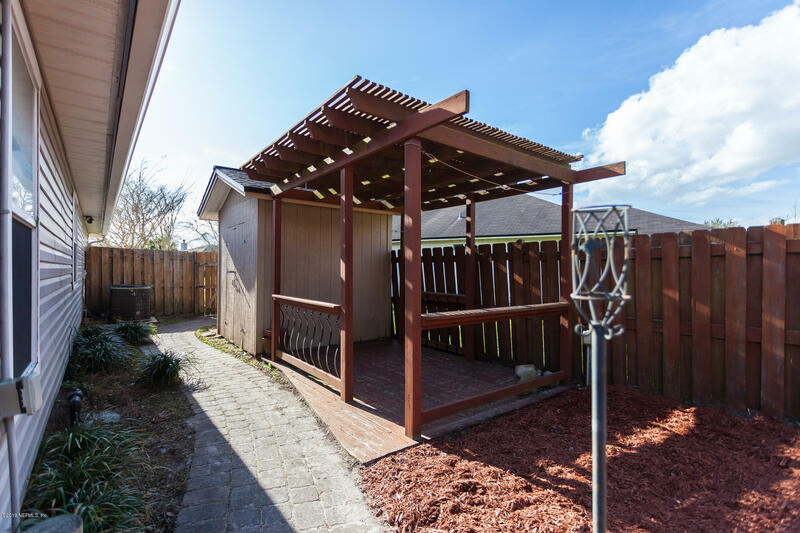 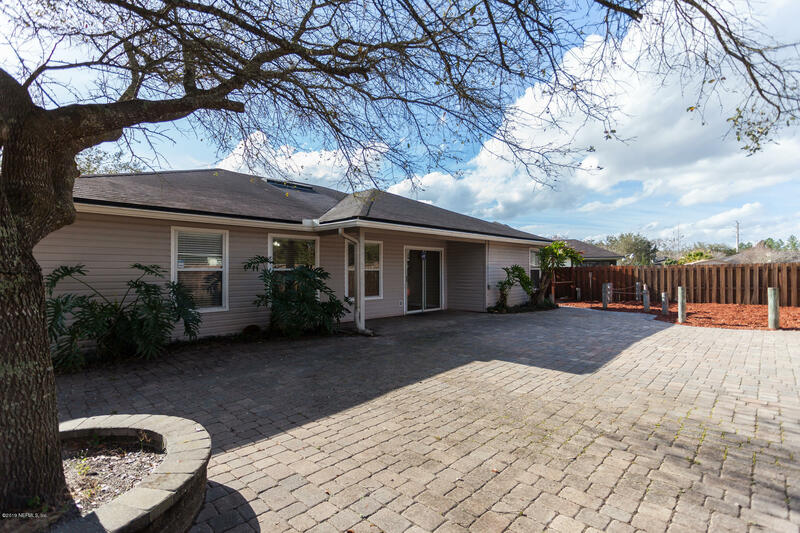 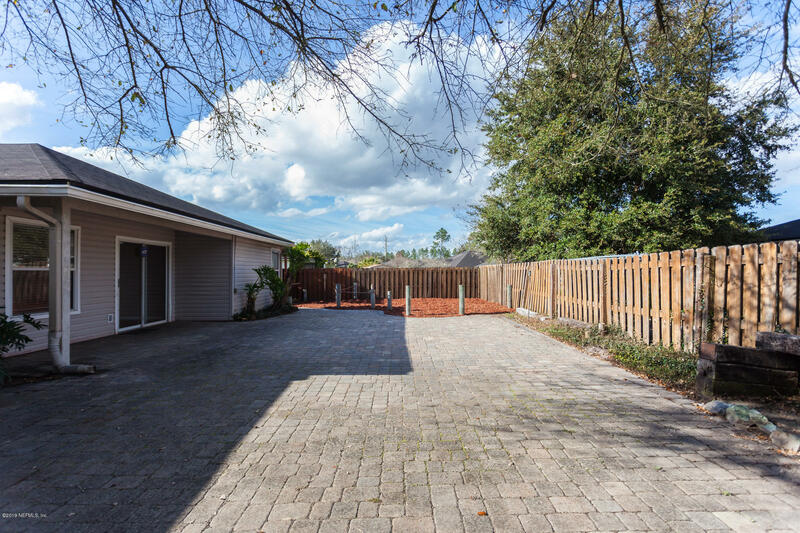 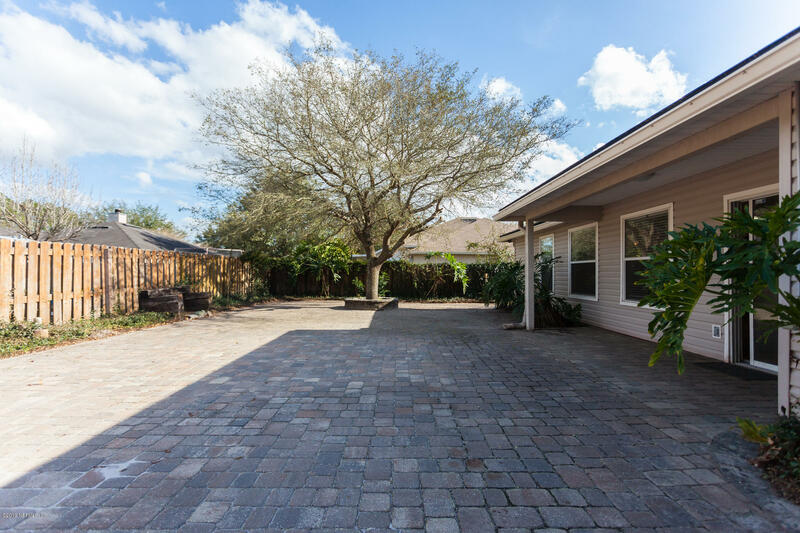 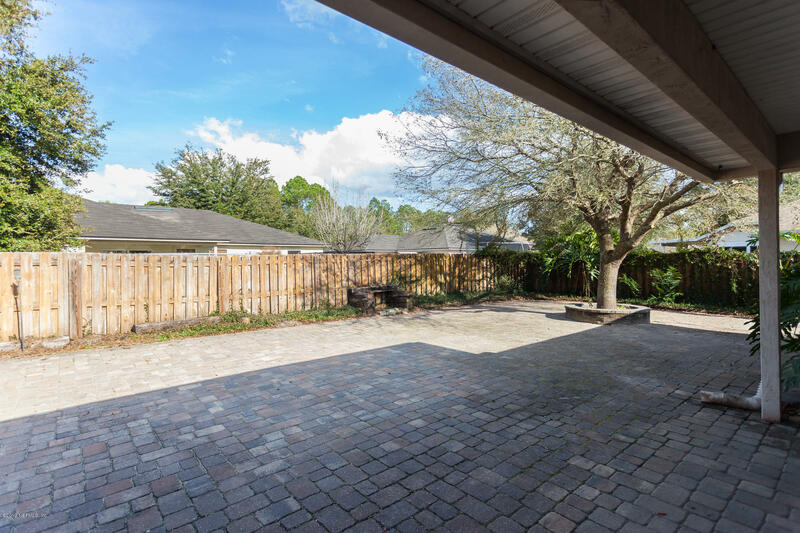 Fenced backyard with large, low maintenance paver patio, pergola, and outdoor storage shed. 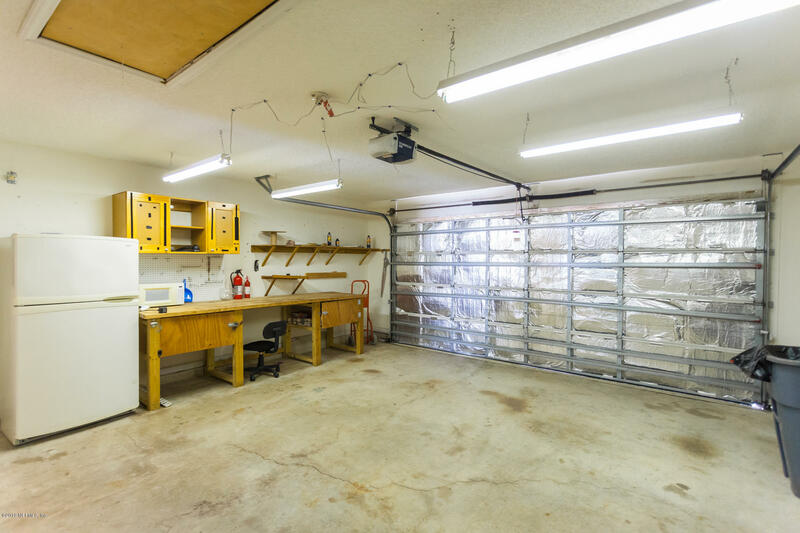 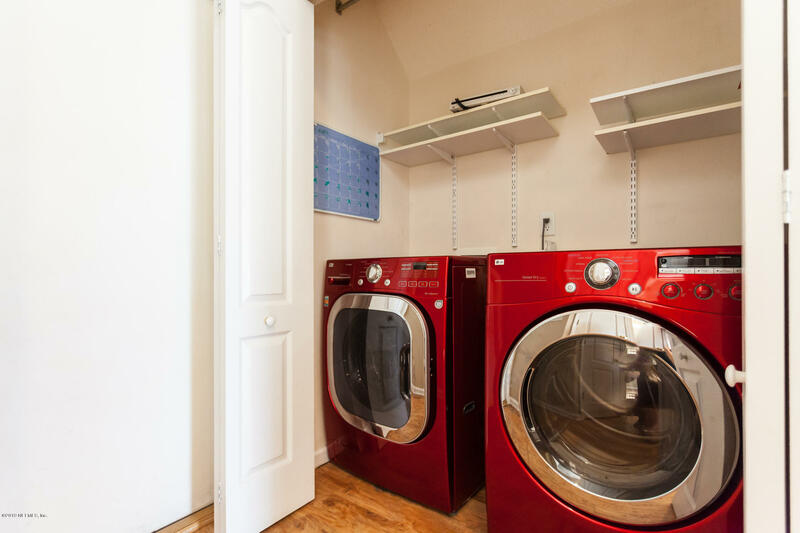 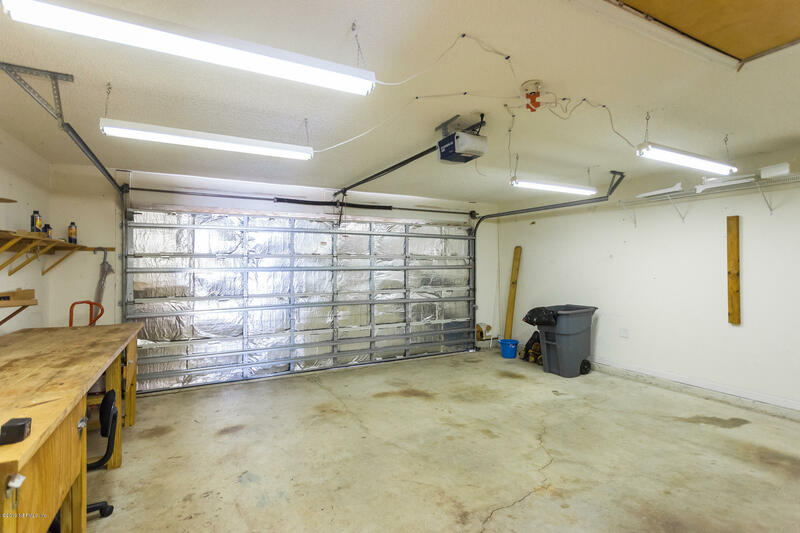 2-car garage is equipped with second freezer/fridge, built-in storage, and lighted workspace. 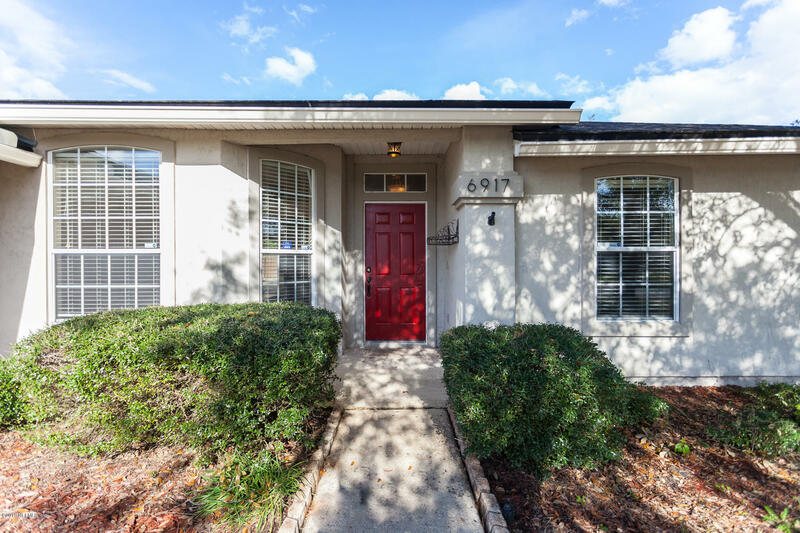 Near Oakleaf Town Center. 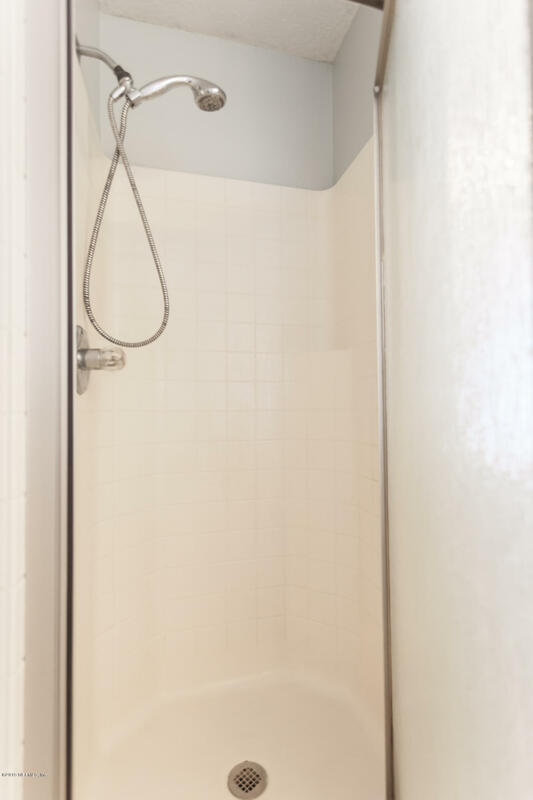 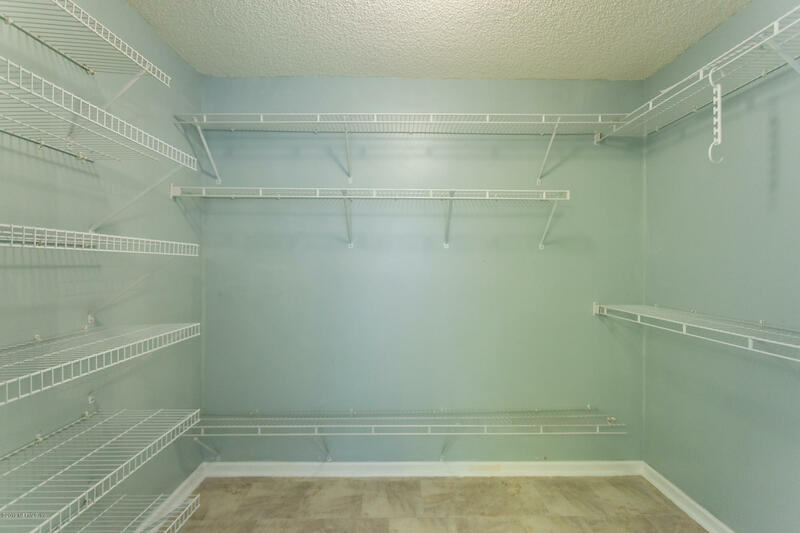 This home has been on the market since Dec 17,2018. 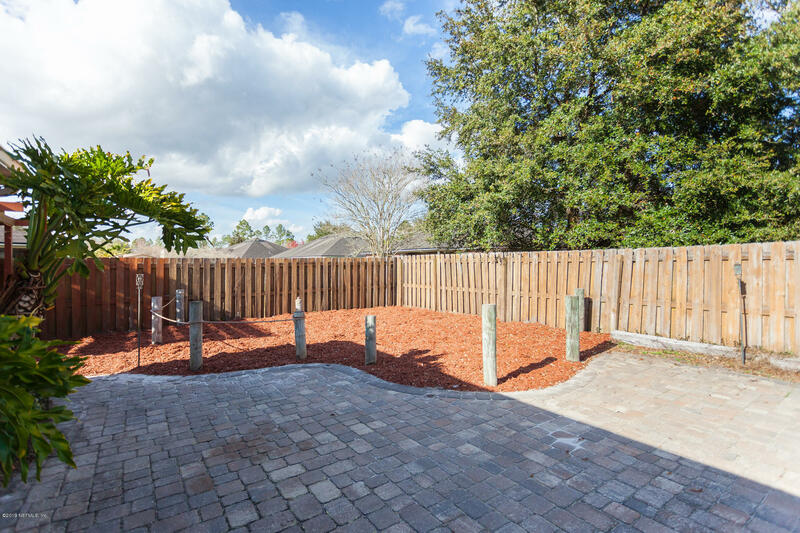 Courtesy of KELLER WILLIAMS JACKSONVILLE.